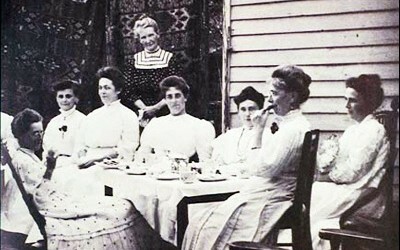 In 1884, the Board of the Poor [Board of Guardians] in Philadelphia was seeking a suitable person to start a Training School for Nurses in the former Philadelphia Almshouse and Hospital known as Old Blockley. 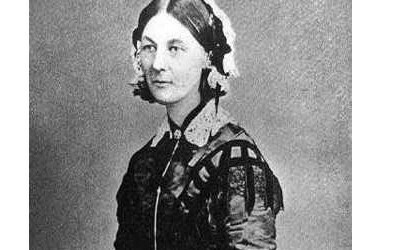 Miss Florence Nightingale was consulted for advice and recommended a former student, Miss Alice Fisher. 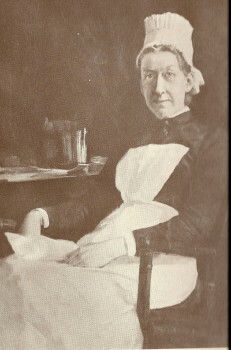 At the time, Miss Fisher was in charge of the Birmingham General Hospital in England where she instituted a nursing school. 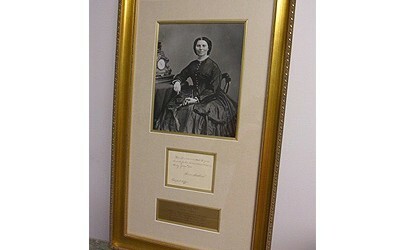 She arrived in Philadelphia in the autumn of 1884. 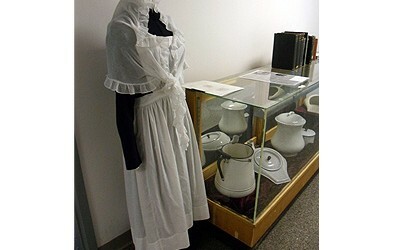 In less than six months, January 1885, Old Blockley opened a training school for about twelve students, and the Blockley Nurse was born. 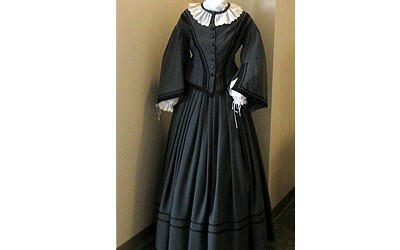 Unfortunately, Miss Fisher died in 1888 at the age of forty-eight from heart disease after a productive career, but not after leaving her indelible legacy upon the Blockey Nurse. 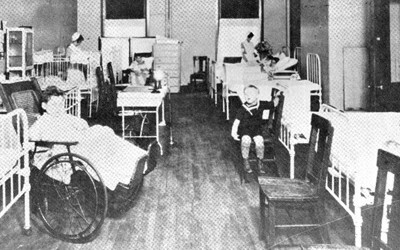 The Almshouse cared for the poor, the orphans, and the insane, but in circa 1906, the insane were finally moved to the Byberry Mental Hospital in northeast Philadelphia that was later called Philadelphia State Hospital. Old Blockley was renamed Philadelphia General Hospital in 1902. 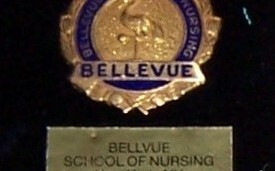 The School of Nursing remained open until 1977. 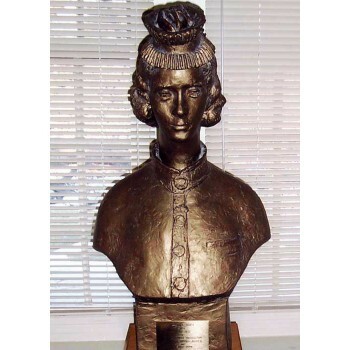 The Museum of Nursing History is pleased to be the caretaker for many artifacts, mementos, pictures including the bust sculpture by Karel Miklos of the Blockley Nurse, which was a gift to the museum from Stephanie Stachniewicz, MS, RN and Helen B (TBD). Philadelphia General Hospital (PGH) was located at the present site of the University of Pennsylvania in University City near 34th Street and Civic Center Boulevard, as well as the Veteran’s Hospital and Children’s Hospital of Pennsylvania. 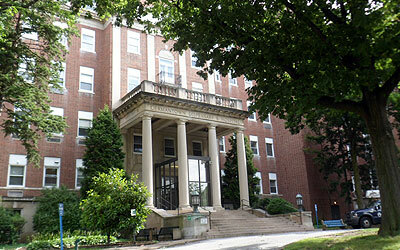 Blockley Hall houses office space for the Perelman School of Medicine that was originally part of PGH and a dormitory for the nursing school. 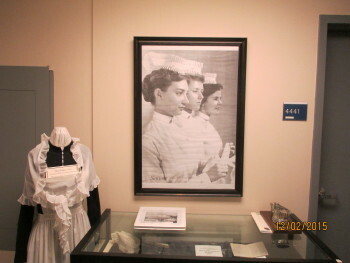 Sources: 1) The Double Frill: The History of the Philadelphia General Hospital School of Nursing by Stephanie A. Stachniewicz, MS, RN, NHA, Director of the PGH School of Nursing Service (1972-77) and Jean K. Axelrod. 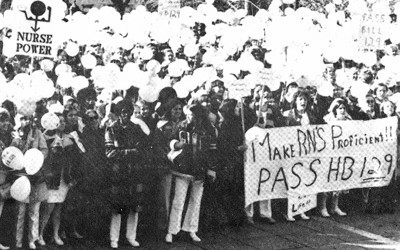 The Alumni Association had their history published by G.F. Stickley Co (1978); 2) wikipedia.org/wiki/Blockley_Almshouse; 3) A Devoted Nurse: Death of Miss Alice Fisher from the Philadelphia Ledger June 4, 1888 (published by the New York Times on June 6, 1988; 4) http://www.facilities.upenn.edu/maps/locations/blockley-hall.